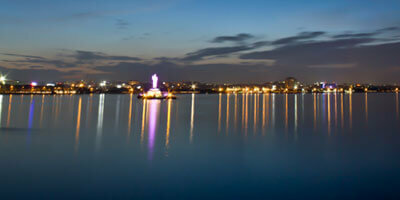 Gandipet Lake Hyderabad: It is not just forts and palaces that constitute Hyderabad sightseeing places. Gardens, waterfalls and lakes such as Gandipet Lake present a beautiful touch of nature around the city of Hyderabad. 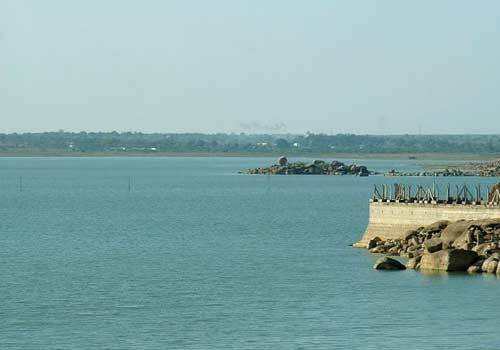 Also known as Osman Sagar, Gandipet Lake is spread across an area of 46 Km. 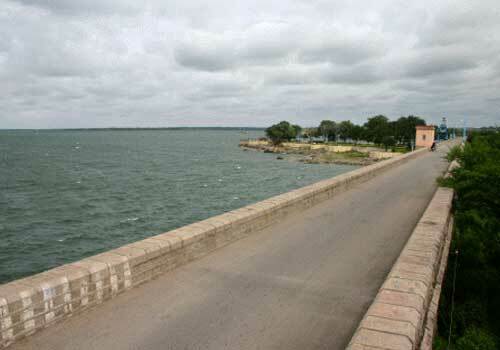 Osman Sagar Lake has been named after the late seventh Nizam of Hyderabad Mir Osman Ali Khan who in 1920 built a Dam over the lake so as to protect the city from flooding. 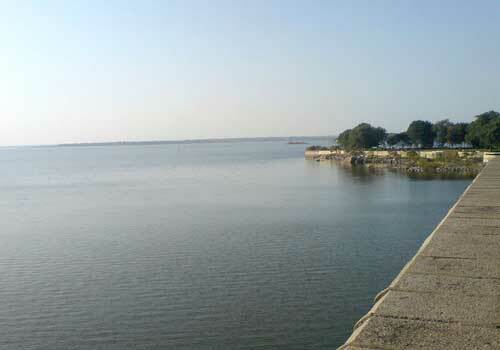 The Dam is the main reservoir for the twin cities - Hyderabad and Secunderabad. 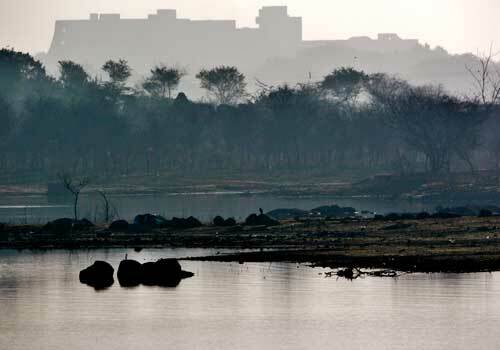 This lake is now one of the main sources of drinking water for both Hyderabad and Secunderabad. Along with this the lake makes for an amazing sightseeing option as well. The sunset and sunrise at the lake are simply mesmerising. Osman Sagar, Gandipet, is often visited by families and those who are looking for some peaceful time away from the hustle bustle of the city. 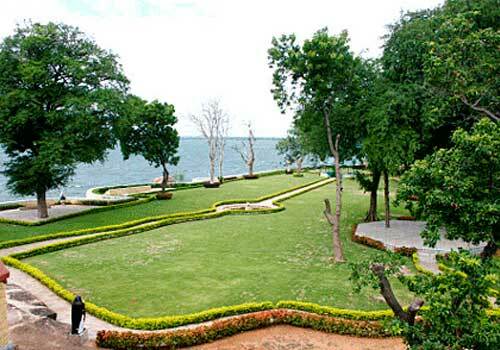 The lawn towards the lower side of the lake offers a picturesque ambience, dotted with lush greenery by the side of vast lake body. It presents a perfect setting for family outings. 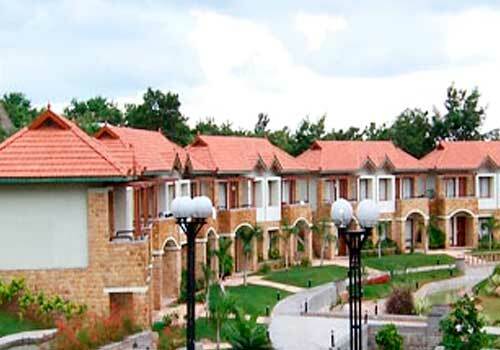 It is one of the popular one day picnic spots in Hyderabad, where families and friends can relax and spend some time amid the refreshing atmosphere. Many visitors bring their own food and games to play in this serene environment. For others, there is also a cafeteria here. Go for boating at the lake and experience the calm water and beautiful surroundings. The best time to visit lake is during months of October to March, when the climate is much cooler to sit out and enjoy the soothing surrounding. There are options of staying overnight as well. Guest house named Sagar Mahal by Andhra Pradesh Tourism offers decent staying options by the side of serene lake and soothing atmosphere away from the hustle bustle of the city life. This guest house, Sagar Mahal in Gandipet once used to be the summer resort of Nizams. Some portion of this mahal has been now open to public; there are about 10 double rooms for accommodation. It offers its guests not only a royal ambience and breathtaking view of the lake but also scrumptious delicacies to pamper their taste buds. 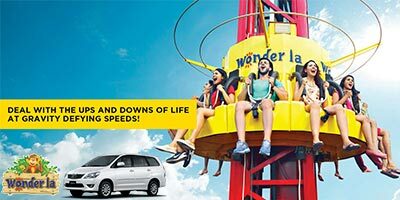 For those looking for some excitement and thrill, and especially for those travelling with children, the place has various entertainment parks nearby. 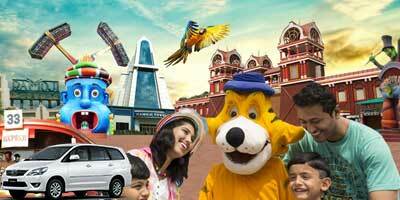 Theme Parks like Ocean Park Hyderabad and Treasure Island are located quite close to the Gandipet lake Hyderabad. The Shirdi Sai Baba temple is located at the Northern end of the resort and attracts hordes of religious tourists every year. It is quite near to the famous Chilkur Balaji Temple as well. 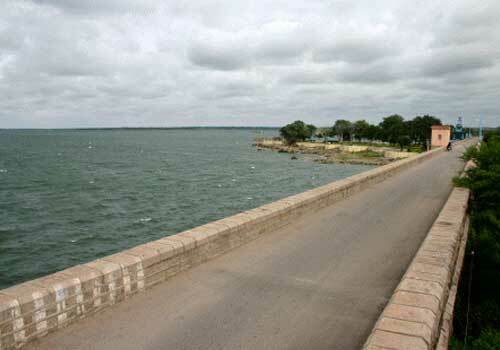 Osman Sagar location is about 20 km from Secunderabad. Visitors can either take bus or even go in their own vehicles. 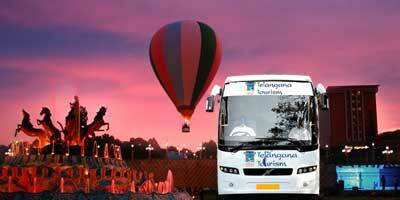 Gandipet route offer pleasant driving experience. Many people visit the lake in early morning as not only the sunrise is mesmerising but even the drive till there is utterly refreshing. Sunset at Gandipet also lures many visitors. Gandipet Lake is not in the Hyderabad city, it is slightly far from there, not much just a drive of one or one and half hours. We went there recently. It was nice cool day so we started in afternoon itself. Had our lunch outside and then to Gandipet. The view is awesome. It a huge lake, and so peaceful. We sat in our cars, with music on and just kept looking at the lake. Awesome experience will definitely go again. 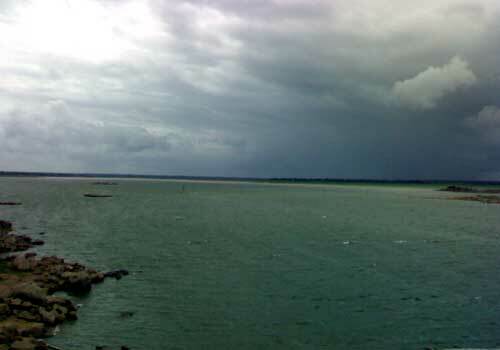 The view of Gandipet lake is good, it’s a huge lake. As it is away from city, this place is peaceful. apart from that there is nothing else to do! You can go on a drive, park your car, look at the lake, sit by the lake side, but for how long can you just stare at the water-body from roadside! The view is good but nothing so impressive. We went in a huge group to Osman Sagar lake Gandipet. It was a long drive. We went in morning so the place was even more peaceful. The view of the lake is mesmerising. you won’t see any building or any cars to ruin your view. Just nature and lake. We went to the park nearby, it's a decent place. It was clean and had snacks and tea stalls too. We took our own food and some games, had lots of fun. It's huge spread of water. Amazing view and peaceful place for hangout. There are two parks in near the gandipet lake location. One that you see while coming from Gachibowli area, it is usually more crowded so better to cross it and go to the other one. It is more clean and more secluded. You can sit here peacefully and enjoy the view of the lake. 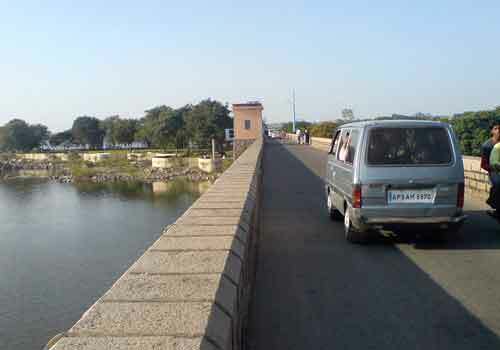 Go to gandipet lake place for sightseeing. View of the lake is good, it's very big and the area is also calm. When we went there, we saw many other people too, most of them in their cars parked on the road by the lake side. You can go there, click some photos, look at the lake and come back. That's it. Gandipet lake, no doubt, has great potential of being a good tourist place. It is not very far from city, the route is also good for drive. And one the way to famous Chilkur Balaji Temple. The lake has a historical background too. But nothing has been done to promote to make it easier for visitors to spend time here. 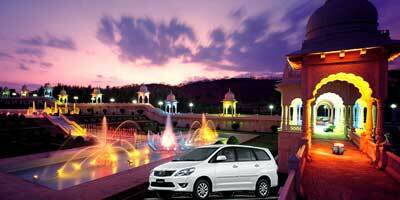 Apart from a park on the wide road where you can park your vehicle and view the lake, there is no other facility.